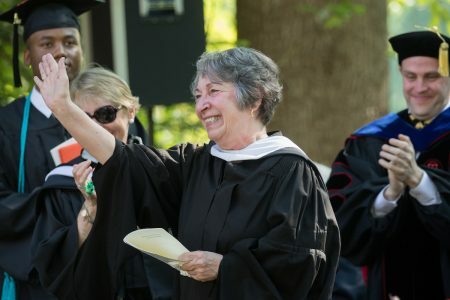 Paula Wallace, associate dean of the College, waves to the crowd at the 2018 Commencement ceremony. Tucked away in Paula Wallace’s desk drawer is a small bag with the broken insides of a flash drive. “It’s a reminder to me,” Wallace said, remembering the 2011 day when she lost the detailed assessment report that had taken her weeks to complete—and the one that she had neglected to save on her hard drive. 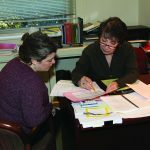 “Had someone come in that door after it broke and told me, ‘Paula, you know what you should have done?’ I think I would have taken them down!” Today, the tiny, plastic pieces serve a greater purpose—they remind her how students feel when they come to her with academic issues or other problems. 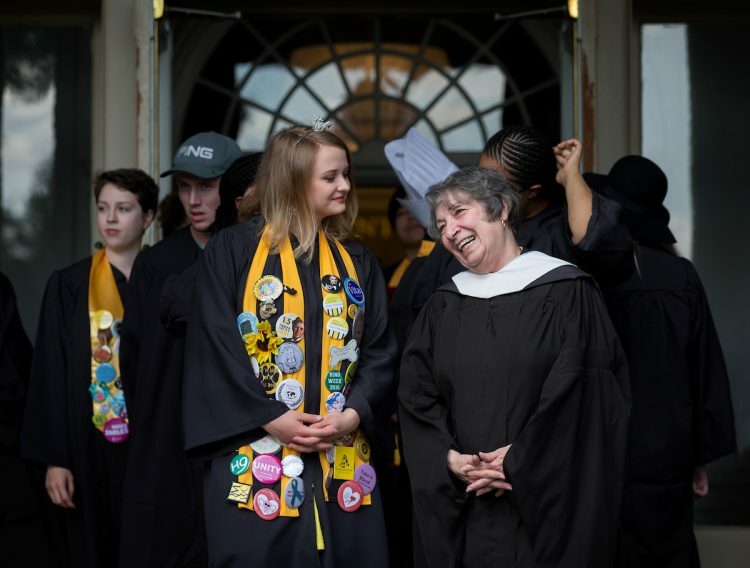 For Wallace, who is retiring as associate dean of the College after 45 years of service, meeting students “where they are” has become a life’s ambition—and work. 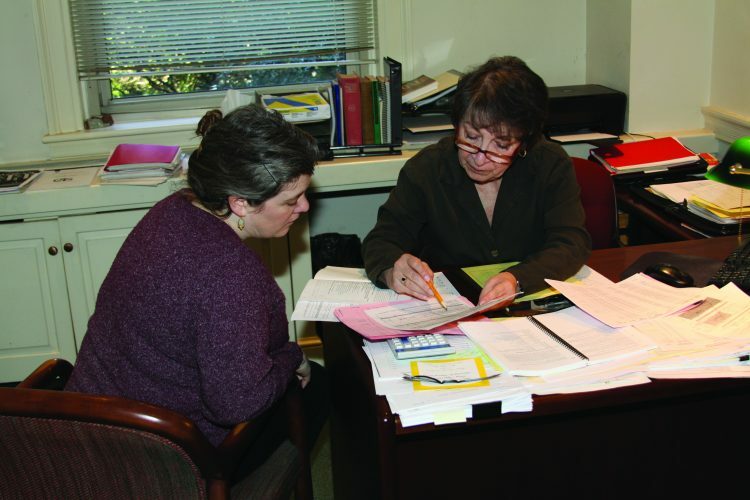 She’s spent decades of her time at Randolph reworking, building, and refining its academic advising program to better meet the needs of students and to help them reach their graduation goals in four years. 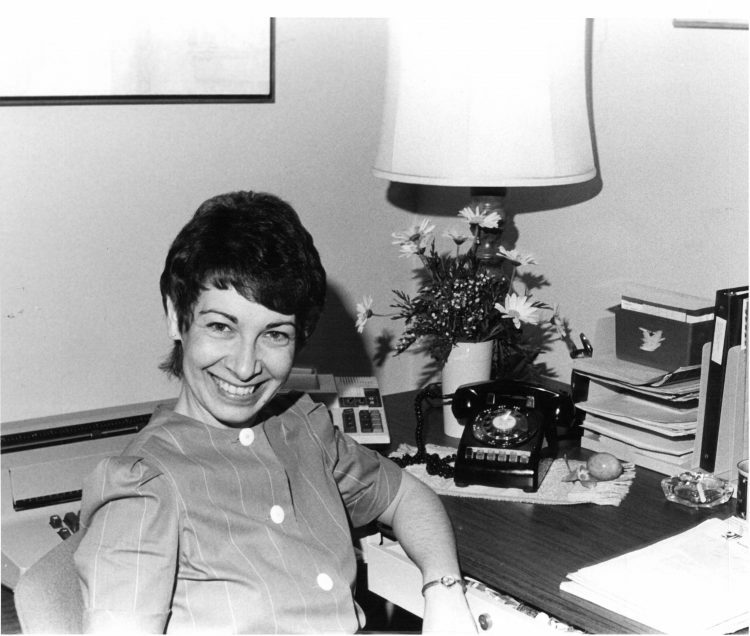 She is known for whipping out a sheet of paper during meetings with students to start graphing an academic plan. She loves the fact that Randolph has a strong commitment to a four-year degree. Forty-five years ago, Wallace did not intend to be at the College permanently. A French instructor and residence director, she planned to return to graduate school. 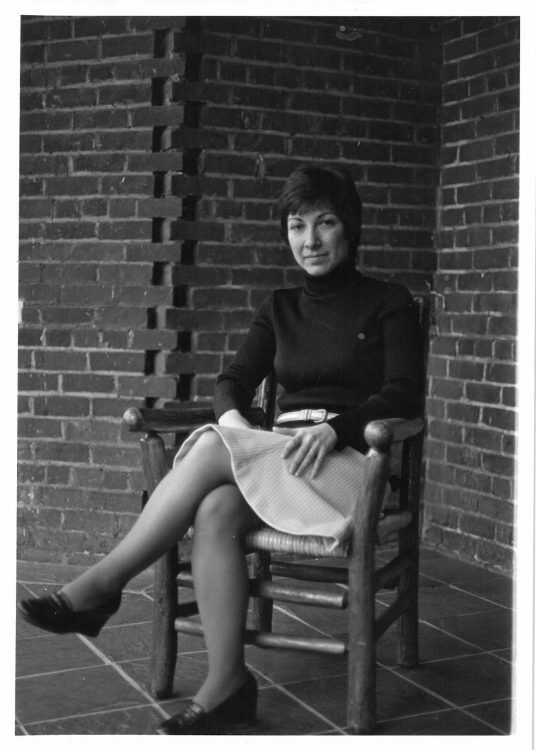 However, then-President William F. Quillian, Jr., offered Wallace a new position—one that allowed her to combine her experience as resident director with her experience as a teacher. “What this place has done for me is the same thing it says it will do for students,” Wallace said. “It challenged me, and then it supported me. And that’s exactly what we say we will do for students. We’ll challenge them, but we will support them through it. For many students, the awareness of just how significant Wallace was to their life comes well after graduation. During her junior year, Mary Pinck Wood ’88, who is now a financial analyst, dealt with what seemed like a crisis at the time. 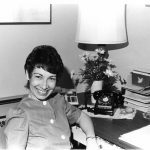 Wallace was more than a role model to Wood and her classmates; she was a surrogate mother, a friend, and a confidante. They would go to her for academic help and sometimes just to chat. The commitment and dedication Wallace showed her students was evident in just how much time she spent at the College. She met her husband, George, when he worked as head of security. She fondly remembers how he proposed to her via e-mail because he couldn’t get an appointment with her. They eloped on her lunch hour and were married 14 years before he passed away in 2004. Wallace’s impact on students has been far-reaching. Kate Leaming Goldberg ’98 is now the director of advancement services and a professor herself at Washington College, and she often models her own methods after Wallace’s. Goldberg remembers how Wallace recognized she was having trouble with test taking and anxiety and worked especially hard to help her with accommodations. her to do just that—but in a different capacity. 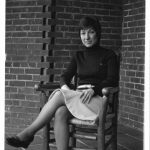 remembers when students sat down for dinner with linen napkins and china; when female admissions counselors had to wear dresses, hose, and heels; when people used paper and pencil; and when all phones had cords. “This college is microcosm of what is happening in society at large,” Wallace said. So much has changed. But for Wallace, just as much has stayed exactly the same. 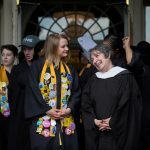 “It’s really people who give this college such a sense of place,” she said. “We have a mission, and everyone works hard in many ways for a common purpose. However, Wallace knows now is the right time to retire. She wants to travel and to spend time with her stepchildren and grandchildren (and granddog). She plans to renovate her kitchen and cook for her friends. After 45 years behind the Red Brick Wall, preparing for retirement has been an emotional rollercoaster for Wallace. Still, she does not believe her last day of work will be tough. “I don’t think it will be hard leaving that evening,” she said. “I’ll just be going home from work. “I think the tough part will be not coming back the next day. That’s going to be what is hard, when I’m not quite sure what I’m supposed to be doing. But I’ll find my way. I just hope it’s more than a four-year-plan,” she chuckled, her eyes brimming with tears.